If you’ve seen The Wolf of Wall Street, no doubt the name “Jordan Belfort” rings a bell. A former stockbroker and founder of the brokerage firm Stratton Oakmont, Inc., he defrauded victims to the tune of $110.4M. A name that is perhaps a bit less familiar to you is Joel M. Cohen, Gibson, Dunn & Crutcher partner, former Assistant United States Attorney in the Eastern District of New York, and the man that sent Belfort to prison. Prior to settling in with Gibson, Dunn in 2009, Cohen spent time with the likes of Greenberg Traurig, Clifford Chance, and the venerable white collar boutique, Morvillo Abramowitz, all helping him earn outstanding as accolades, such as being named a leading white collar criminal defense attorney by The Best Lawyers in America, a “Litigation Star” by Benchmark Litigation, a “Super Lawyer” in Criminal Litigation, and notation in The Legal 500 in the areas of white collar criminal defense and securities litigation, and Chambers and Partners in the white collar area. Parnell: Can you give me a brief view of your entrance into law? Cohen: I spent one summer at Simpson Thacher [& Bartlett LLP], and spent the following summer at the US Attorney’s office in Manhattan. When I came out of law school, I had decided that I wanted to go to a smaller firm, so I joined Schulte Roth, which, at the time, had about 20 litigators and 150 lawyers. I worked on several white collar defense matters with them, which I was very interested in. I spent about a year there, and while I was getting great experience, I quickly found that I wanted more. So I then went to Morvillo Abramowitz [Grand Iason & Anello PC], where I was the thirteenth lawyer to join their ranks. Being a white collar boutique, I saw a wide range of work, and significant complexity. But, after three years there, I felt ready to move beyond my [then] current skill base, and thought that Government would allow me to do that. I was hired by US Attorney’s office in Brooklyn, where I worked for seven years, and got extraordinary experience investigating and trying cases on the prosecution side. I then returned into private practice, but with a much more comprehensive set of tools. Parnell: Morvillo Abramowitz? Wasn’t Elkan Abramowitz just retained by Patton Boggs? Cohen: Yes! Elkan represents an adversary of our client, as we are representing Chevron in that controversy. I think the world of Elkan. He’s a fabulous lawyer and one of my mentors. Parnell: What brought you back out into BigLaw from public service? In my line of work, I’ve found that often times it is the money. Cohen: Well, money was part of it. Living in a one bedroom apartment with two children and a third on the way was taxing. It was a big financial sacrifice living in New York, but I found it necessary if I was going to build my skillset … to become the attorney that I wanted to be. Money wasn’t the sole driver, though. I loved being a prosecutor; I love being in court. But, I reached a point where the experience I was gaining yielded diminishing returns. I wanted to keep advancing and to take on new challenges. I believed that I had to come back to private practice in order to do that. Parnell: Did you find it easy to come back into BigLaw? Cohen: I did. I started doing a lot of white collar defense work right out of the gate. But, having been on the defense-side before my service as a prosecutor, I never thought of one side as being right or wrong. They both have their important roles in the search for justice, and so, the transition was an easy one for me. I enjoy becoming involved in complicated matters, going to court, and trying cases. The defense-side offers those opportunities, too. Parnell: So you do spend a fair amount of time in court? You’re an actual trial attorney? Cohen: Yes, I am a trial attorney. In big firms, fewer matters proceed to trial. I was fortunate to try 17 cases with the government, and I’ve tried 7 since I left government service. Parnell: If you could, talk to me about the markets a bit and what you’ve been up to recently. Cohen: For many years I’ve focused on FCPA and anti-corruption work. It’s been an interest of mine since the 90’s. I was assigned by the DOJ as the first legal liaison officer to the French Ministry of Justice and as an advisor to the OECD, working on what later resulted in the enactment of its anti-corruption convention. So I’ve had a long standing interest in corruption, and that’s an area that, as you know, has not abated in activity. I also do a lot of international [white collar] work, which is definitely a growing market. I serve as independent examiner for Swiss banks that are seeking amnesty pursuant to the US tax program, in which I act as an intermediary between the banks and the US government. I recently ended a three-year term as counsel, monitoring a large international company that settled a corruption case, overseeing their compliance and remediation efforts. That matter required considerable travel to Asia, Africa, and South America. It seems I am on a plane somewhere outside the United States once a month or more. Parnell: Did you follow the Mark Cuban trial at all? Cohen: Yes, especially as I am gearing up for an SEC insider-trading trial in two weeks on behalf of a hedge fund I’ve been representing for over 12 years (SEC v. Obus). These cases can take quite a bit of time to reach trial, but this one exceeds even those norms. This trial, in particular, involves a trade that occurred in 2001, before 9/11. Because there are some similarities in the fact patterns in [Cuban’s case] and some of ours, I followed Cuban’s trial closely. 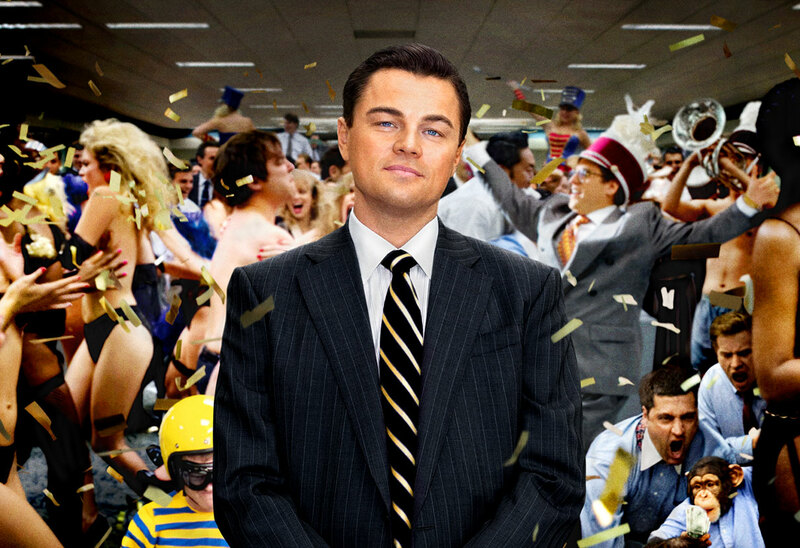 Parnell: Regarding The Wolf of Wall Street, when did you first hear about the movie? Did [Martin Scorsese or Terence Winter] approach you at all? Did they request that you be involved at all? Cohen: Well, I read [Belfort’s] books. I had seen references online that the screen play—the rights to the book—had been sold, and Scorsese and DiCaprio were involved. And, about two years ago, I had started to hear that it was serious. They did not contact me. I contacted the production company, Red Granite, about a year and a half ago, offering to make sure they had an accurate perspective on the case. But, they did not respond. I was not looking to be involved in the movie. I had read Belfort’s books and thought [that] if they are going to make anything based on those books, they are really going to need some balance. While much of what he says is true, from what I know, it was written from a skewed perspective that did not account for the victims, and treated, blithely, the outrageous behavior of Belfort and his cohorts. Parnell: Does the movie come up at all in your work? Cohen: I was frustrated by the final scene in which the filmmakers decided to depict the real Belfort on the screen next to DiCaprio, so I wrote a piece for The [New York] Times about it—that led to many calls from the media and others, but it hasn’t affected my career. I never thought of myself as being associated with the “Wolf of Wall Street.” In fact, that wasn’t even his name. He made it up. I was sitting in court a few weeks ago talking about jury selection and raising some of the challenges in trying a financial crime matter in a difficult environment. One of the other counsel noted “we need to be careful about references to things like The Wolf of Wall Street.” My reaction was to think “goodness gracious, yeah, we do….” [The movie] does arise in odd ways like that. Parnell: I’d be interested to see how the movie is helping Belfort’s ongoing career. It is probably making him a lot of money. Cohen: It is tough for me to say one way or another; I am not privy to his current work or finances. I have read reports in the media that he has been making money, but how much, I really don’t know. What’s extraordinary to me is that investment groups, insurance companies, professional organizations, and the like will pay money to listen to him. Don’t get me wrong; he is very colorful and charming; he can be entertaining to listen to. But why anyone would follow his advice, I can’t understand. He’s done nothing meaningful to change, as far as I can tell, other than incant the words “repentance” or “sorrow.” And he’s using the same old techniques that he used 15 or 20 years ago. Parnell: It is odd that legitimate companies are bringing him in to speak. If it’s anything other than entertainment value, which I doubt that is all that they’re looking for, it is surprising. Cohen: It is. And many are reputable groups—groups that are well respected. Why would you want to hear Jordan Belfort talk about ethics, for instance? Please understand, I believe people can change. But to earn a second chance, one has to make serious amends for the first chance that they failed at. Parnell: Real quickly, before you go, talk to me about Gibson’s practice. What separates you guys from the rest of the pack? Cohen: Gibson has exceeded my expectations [as a lateral attorney], wildly. I thought [my move here from Clifford Chance in 2009] was the right choice at the time, but you never really know for certain until you make the move. Gibson Dunn has had 17 straight years of increased profitability. And, while I want to make money just like anyone else, I’m not driven by that—it’s not why I came here. The reason we are doing so well is because we have such a deep bench of extraordinarily talented lawyers. I am continually amazed at how many skilled specialists we have in so many areas that matter to clients. There are no real weaknesses of any significant nature in our practice. So you can always find someone for a corporate governance issue, a tort liability issue, securities litigation, white collar, international, appellate, pro bono…. We operate on all cylinders, and doing so makes all of us better at what we do. Clients come to expect much from us, and that, too, adds to the cultural advantages we experience.